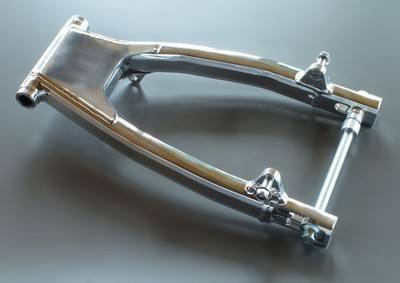 MotoLanna SuperLite aluminum alloy swingarm. Designed to fit a drum brake Yamaha SR500, SR400. On the TT and XT, some modification of the brake linkage may be necessary. 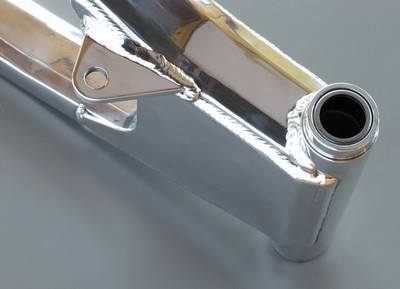 It may also be adapted for use on the Yamaha XS650 with minor modifications. Contact us for additional information for this application. Installation is very straightforward, taking less than an hour to install. 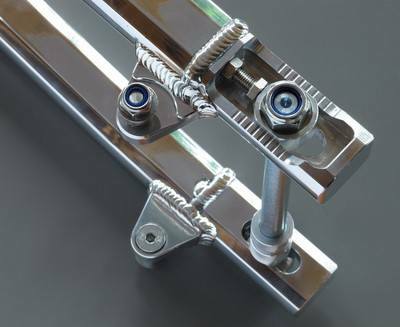 Included are axle, axle spacers, new needle bearings (pre-installed), chain tensioners, shock mounting bolts and shock bushings. 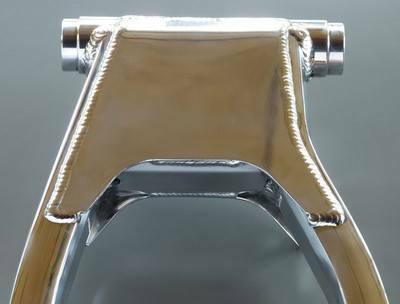 This is designed for a drum rear brake, but could be adapted for a disc brake with some modifications. With this arm, fitment of a much larger tire than stock is possible. 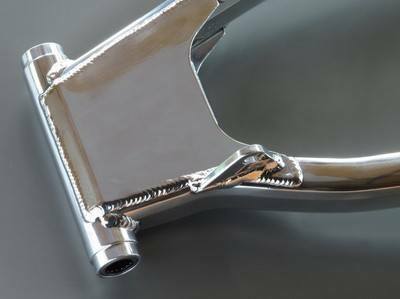 Available in polished raw aluminum, anodized black, silver, or titanium finish. Weight is approximately 2.95 kg including axle, spacers, and bearings as shown.